Members can expect a busy itinerary in a region known for hot and humid conditions - daytime temperatures will exceed 30°C. The visits to Angkor involve long walks with many steps and over rough terrain. The river boat does not have an elevator. Members must be fully mobile and physically active to fully enjoy this journey. With the overwhelming success of recent journeys on the Mekong, through the heart of Indochina, we have decided to arrange another exciting river adventure, exploring the backwaters of Cambodia and the Mekong River. This is the most popular new river cruising destination and we are sure that this wonderful trip will fill very quickly. 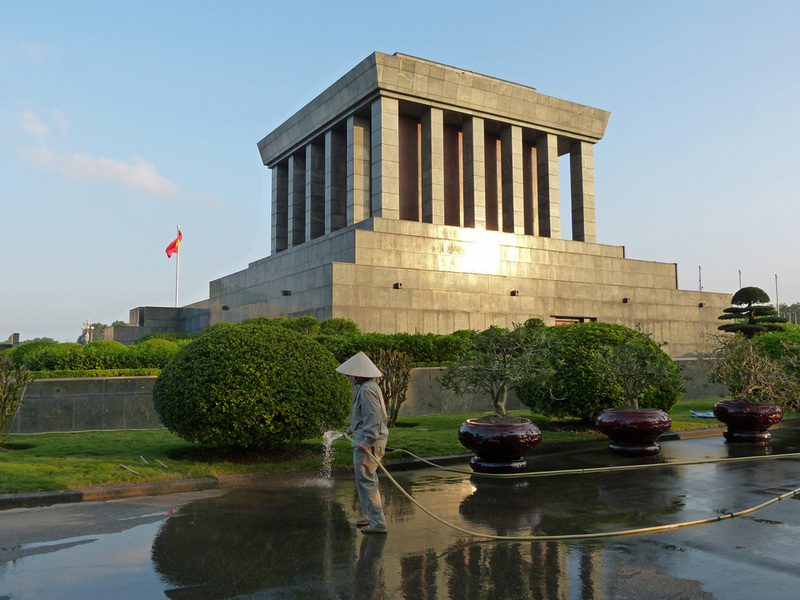 Highlighting the best of the region, our journey begins in Vietnam’s northern capital of Hanoi. After a very special overnight cruise on the scenic Ha Long Bay we fly to the legendary Saigon, one of the Orient’s most exciting cities. Then it will be all aboard as we embark on the gracious rv Tonle Pandaw, a river boat designed for cruising these waters and which is sure to please the most discriminating traveller. We sail along the Mekong and Tonle Sap Rivers, where we will experience the backwaters of the river and will explore quaint villages and ancient temples. Spend a full day in Phnom Penh, Cambodia’s capital and continue into heart of the country to Siem Reap, home of the magnificent ruins of Angkor, arguably the most impressive ancient temples in South East Asia and truly a sight to behold. Designed for the experienced traveller, this journey moves at a good pace, with ample time to experience the uniqueness of this untouched part of the world. Everything is carefully planned to ensure a fascinating journey through lands that are truly off the beaten track. Tour members gather in Toronto or Vancouver Sunday night for the very early Monday morning flight to Hong Kong. Explore Hanoi’s most historical and cultural sites including the Ho Chi Minh Complex, Ba Dinh Square, One Pillar Pagoda, and the Temple of Literature. Following lunch at a local restaurant, we continue on a walking tour in the Ancient Quarter allowing us to experience the very lively back alley culture of Hanoi. An exciting traditional water puppet show will top off our day! 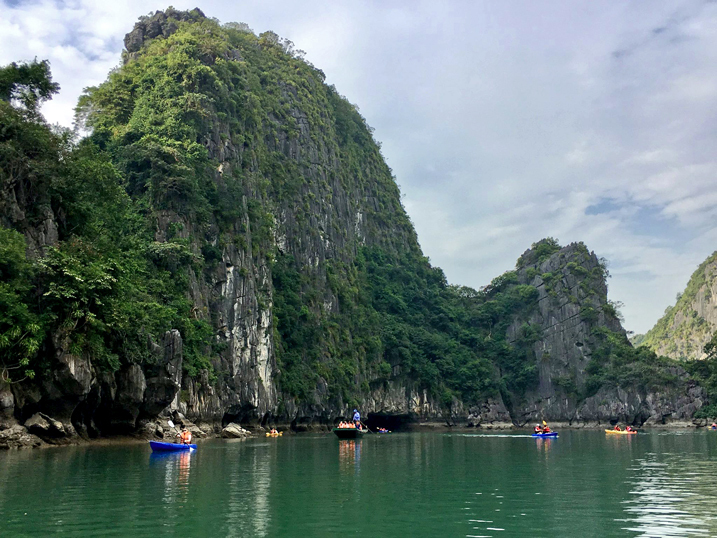 Drive to Vietnam’s Ha Long Bay and board a not-so-traditional wooden Junk for a cruise amongst the UNESCO World Heritage Site known for its magnificent natural beauty. 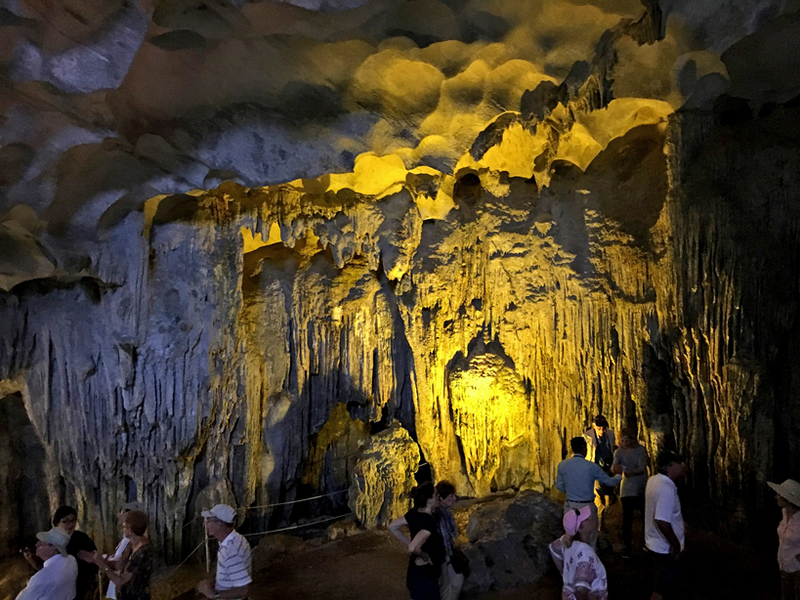 On board, we will enjoy a seafood lunch and cruise through the islands as we explore a series of breathtaking caves and grottoes. Saigon, the capital of the French colony of Cochinchina and the “Paris of the Orient.” today is Vietnam’s largest city, an industrial, cultural and educational hub that still retains vestiges of its colonial past. 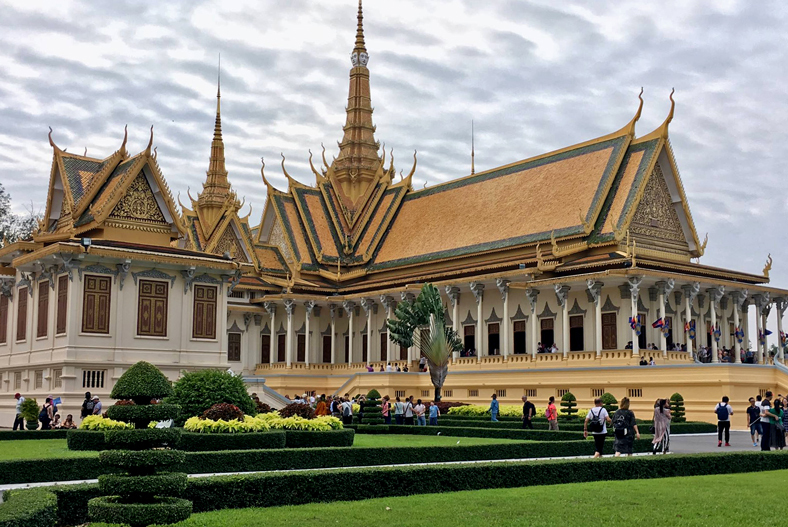 We will tour the city’s highlights today including the Presidential Palace, the History Museum, Notre Dame Cathedral, the War Remnants Museum, Ben Thanh Market, plus China Town and Temples. This morning we shall get our first taste of life on the Mekong river as we visit the Cai Be floating market. Our afternoon Sampan boat excursion takes us to Sa Dec a bustling market town with countless canals. Here we shall find the ancient house of Mr. Huynh Thuy Le, the lover of the French writer Marguerite Duras. Visit a Moslem Cham tribal village and a cat fish farm in Chau Doc or those willing may opt to take one of the ship’s mountain bikes and explore the local market and Catholic Church on your own. Back on board for lunch we sail upstream to the Cambodian border for formalities. While here, there will be an optional tour of our riverboat and fruit carving classes on deck. 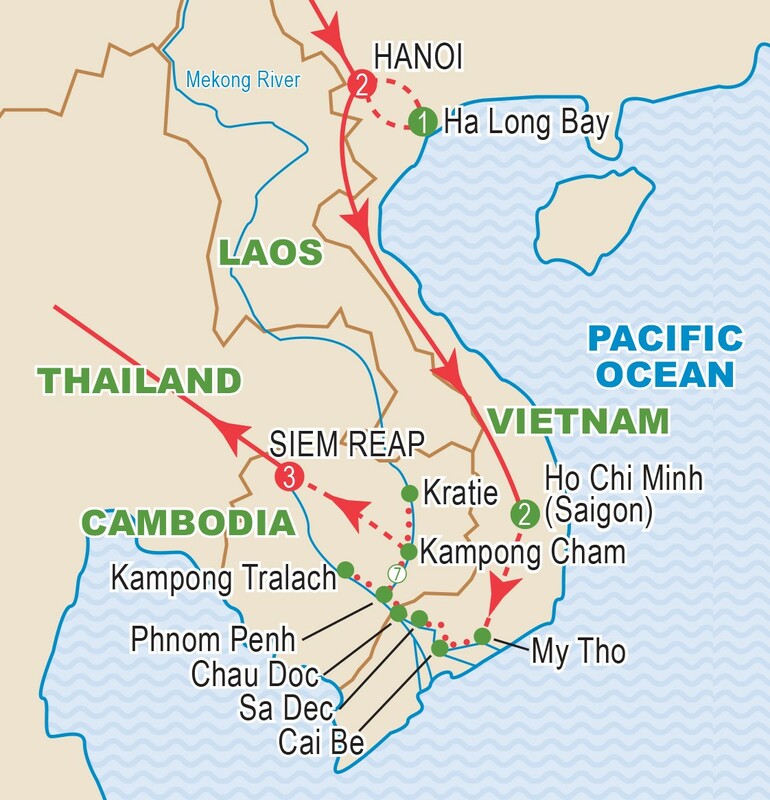 This morning we are in Phnom Penh, the capital of Cambodia, famous for its French colonial architecture, busy cafes, vibrant nightlife and renovated river “corniche.” Our morning visit will be by private cyclo, a style of transport unique to the Orient which provides an excellent way to experience the hustle and bustle of the city. Visit the Royal Palace, the spectacular Silver Pagoda and the National Museum displaying Khmer crafts. After lunch, an optional excursion to the Killing Fields and the infamous S21 Detention Centre will be available for purchase. We will spend the night in port. Today we cruise the pretty Tonle Sap River, enjoying visits to a silver making village by Kampong Tralach, and the silk weaving village of Chong Koh, either by ship or by coach depending on water levels. There is a vibrant local life to be viewed along the river banks and in small channels close by. At certain seasons and depending on water levels, the river actually reverses direction into Tonle Sap Lake. This morning we visit Angkor Ban for a walk to the impressive temple and to immerse ourselves in the local rural life. From here we relax as we sail upstream through the beautiful Cambodian countryside. 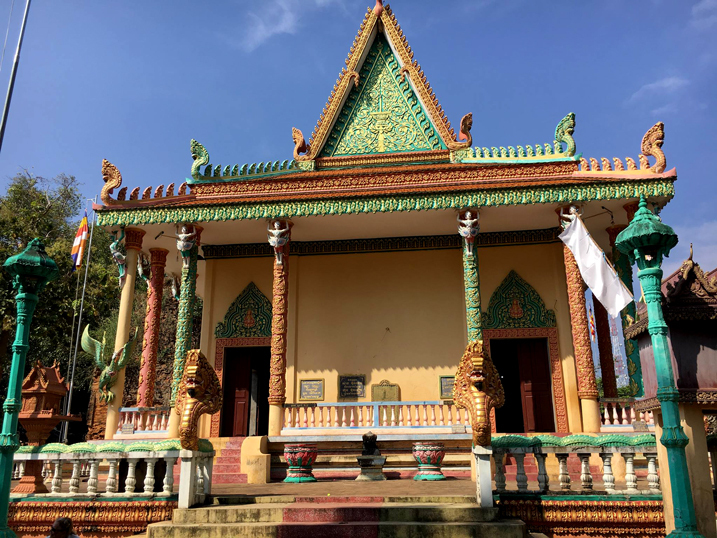 Our destination is the French colonial town of Kratie on the banks of the Mekong home to thirteen thousand locals and a large central marketplace. From Kratie we proceed by small boat (or coach) to the dolphin grounds, the area where the WWF is working hard to protect the very endangered Irrawaddy dolphins. Recent surveys indicate that there are fewer than 150 of these rare mammals in the Mekong. In the afternoon we cruise to Kampong Cham, stopping on the way at a curious shrine known as the Monkey Temple. This morning we visit massive Angkor Thom, last capital of the Khmers. We shall see the Elephant and Leper King Terraces together with the stunning Bayon Temple, with its extensive and detailed relief carvings, and the Baphuon, only recently re-opened after extensive renovations. Our next stop is Ta Prohm, a temple site reclaimed by the jungle and only recently rediscovered. 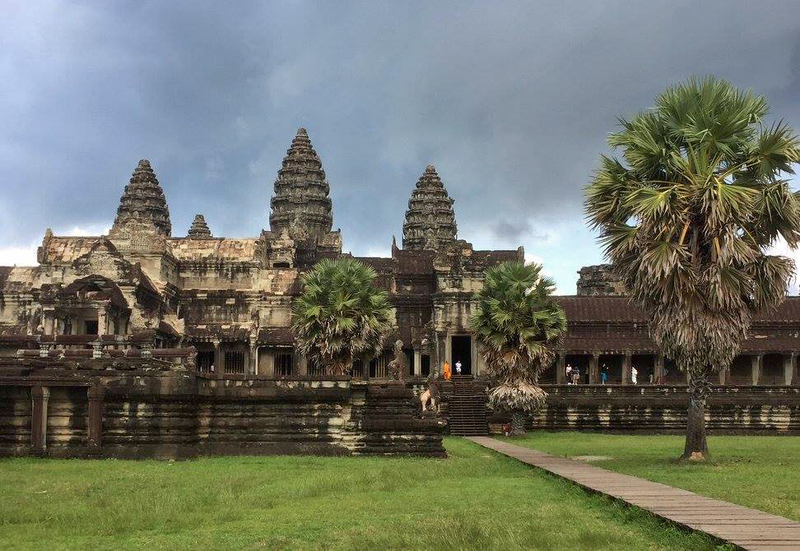 This afternoon explore the world’s largest temple, Angkor Wat. With the volume of stone equaling that of the pyramids in Egypt, this temple took 30 years to complete and has been occupied by Buddhist Monks ever since. Of special note are the bas reliefs on the exterior walls. Then, we visit a school dedicated to teaching traditional arts, stone and wood carving, lacquer ware and more. This morning we have a special treat; a Khmer cooking class at a local restaurant. Following a briefing we will visit the morning market purchasing the supplies that we will need. Back at the restaurant we will help prepare a three course meal of local delicacies which we will then enjoy at lunch. 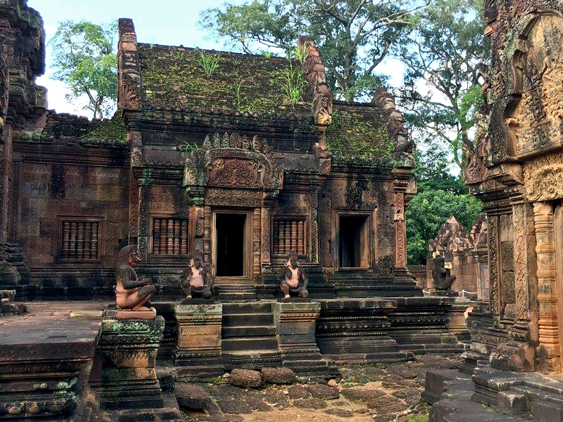 This afternoon, we visit the Banteay Srei, the “Citadel of Women”. 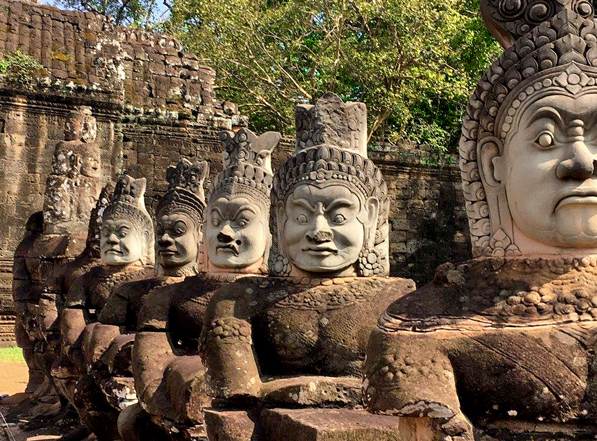 This tiny enchanting temple is one of the jewels of this Khmer. Built with red sand stone in the 10th century and dedicated to the Hindu God Shiva this is the most Indian of all Angkor temples. Finally we visit Banteay Samre, dating from the early 12th Century. After breakfast we transfer to the airport for our flights via Hong Kong to Canada. The beautiful rv Tonle Pandaw was designed to provide luxurious cruising on Asia’s legendary Mekong River. Refurbished in 2013, she carries a maximum of just 56 guests and has three decks. All staterooms are 170 sq. ft. or larger, ensuring that all of our creature comforts are exceeded. 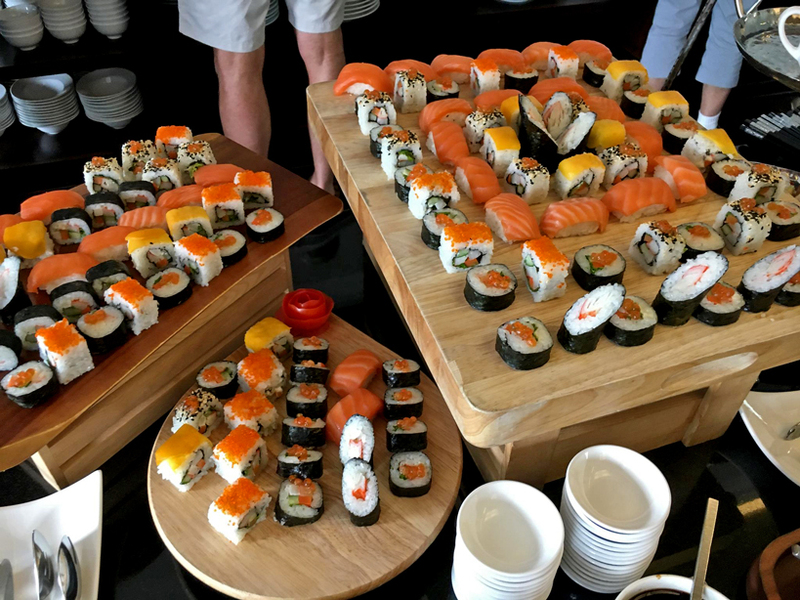 Public areas include a main restaurant serving Asian and Western specialties; a small gift shop; lounge and bar; library, spa, plus a pool table on the Sun Deck. All staterooms feature twin beds (that can be converted into one large bed), a comfortable sitting area, safe, private bathroom with shower, bathrobe, slippers, hairdryer and more. All staterooms are outside, panoramic French window leading to personal deck space, and individually controlled air conditioning. Smoking is NOT allowed anywhere within the ship and the ship does not have an elevator. Most of the ship’s staff speak English. Sun Deck features the lounge and bar (an area where everyone can sit for drinks or talks etc.) plus a covered terrace with seating (lounge and regular chairs) for all guests. Upper Deck features the saloon bar and a number of staterooms. Main Deck features the gallery, dining hall, and a few staterooms. Lower Deck features the gym, library, front desk, spa, and gift shop.